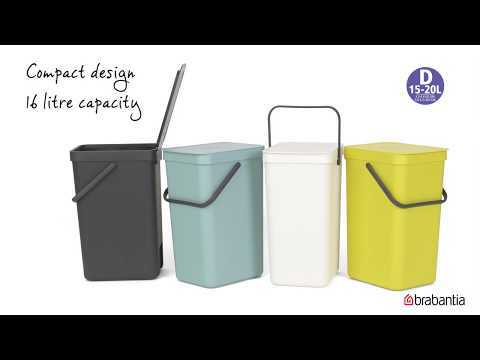 New for 2016 is the Brabantia Sort & Go system. A mixture of four different colours and three different sizes, the modular system allows you to mix and match to construct the best solution for your home. The bins can easily be popped on your floor, worksurface or wall (wherever suits you best), and feature stand open lid for longer tasks. Plus, they easily fit the relevant Brabantia bin liner, so removing your waste is a breeze!